ePub file 10.1 MB Best for mobile devices. mobi file 23.5 MB Best for Kindle 1-3. Do free, voluntary, district-run summer programs that include academics and enrichment activities benefit low-income elementary students? What programmatic factors influence student outcomes? Prior research has determined that low-income students lose more ground over the summer than their higher-income peers. 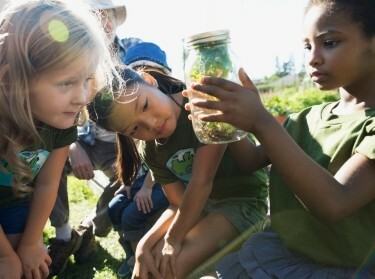 Prior research has also shown that some summer learning programs can stem this loss, but we do not know whether large, district-run, voluntary programs can improve students' outcomes. To fill this gap, The Wallace Foundation launched the National Summer Learning Study in 2011. This five-year study offers the first-ever assessment of the effectiveness of large-scale, voluntary, district-run, summer learning programs serving low-income elementary students. The study, conducted by RAND, uses a randomized controlled trial to assess the effects of district-run voluntary summer programs on student achievement and social and emotional skills over the short and long run. All students in the study were in the third grade as of spring 2013 and enrolled in a public school in one of five urban districts: Boston; Dallas; Duval County, Florida; Pittsburgh; or Rochester, New York. This report, the second of five that will result from the study, looks at how summer programs affected student performance on mathematics, reading, and social and emotional assessments in fall 2013. Analyses suggest that students who attended class more often and received more instructional hours received the greatest benefit and performed best on the assessment. It is possible a five-week summer program is insufficient to create measurable improvement in reading skills. Reading outcomes were not significantly affected even for students with the highest attendance and instructional hours. Our implementation analyses suggest that reading outcomes may be sensitive to classroom and site quality.These analyses found that treatment students who received higher-quality instruction, students who had a teacher with grade-level experience, and students attending an orderly site performed better. Treatment students did not receive higher social and emotional competence ratings from their teachers in the fall than control students received, although some district leaders hypothesized that their programs might have a positive effect on social and emotional outcomes. We found strong demand among low-income students and their families for free, voluntary programs that combine academics and enrichment. Each district exceeded its expectations for applications, and the majority of accepted students attended the programs. Almost 60 percent of the control group, all of whom had applied to the districts' voluntary summer program but were denied admission, reported not attending any kind of summer program or camp over the summer. These families had all received targeted information on other summer recreation programs available in their communities. Districts interested in implementing summer programs may want to plan for programs that run five to six weeks and schedule 60–90 minutes of mathematics per day. Districts should make special efforts to promote consistent attendance, maintain daily schedules, and ensure teachers maximize instructional time inside the classroom. Districts may want to take particular care in selecting reading teachers for summer programming, trying to select the highest-quality reading teachers and those with grade-level experience (in either the sending or receiving grade). Establishing clear expectations for student behavior, ensuring consistent application across teachers, and developing methods of maintaining positive student behavior in class may pay off in terms of student achievement in reading. 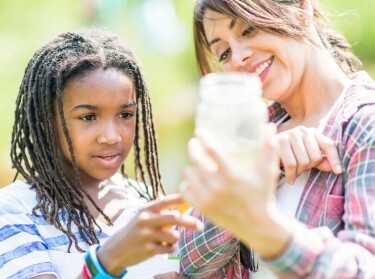 Districts may need to take specific actions in designing and executing summer programs if they wish to affect students' social-emotional outcomes in the near term. How Did We Measure Implementation and Outcomes? Who Were the Students in the Study? How Did Implementation of the Summer Programs Vary? What Were the Near-Term Effects of the Summer Programs? What Aspects of Summer Programs Are Related to Positive Outcomes?. This study was sponsored by The Wallace Foundation and conducted by RAND Education. McCombs, Jennifer Sloan, John F. Pane, Catherine H. Augustine, Heather L. Schwartz, Paco Martorell, and Laura Zakaras, Ready for Fall? Near-Term Effects of Voluntary Summer Learning Programs on Low-Income Students' Learning Opportunities and Outcomes. Santa Monica, CA: RAND Corporation, 2014. https://www.rand.org/pubs/research_reports/RR815.html. Also available in print form.